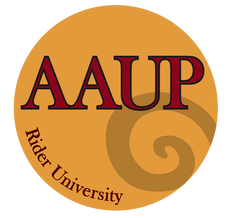 Following a meeting THIRTEEN months ago — on March 1, 2018 — Rider AAUP Chief Grievance Officer Jeff Halpern, then-AAUP-President Scheiber, and Assistant Grievance Officer Joel Phillips sent this report to all faculty. In it we discussed the need for a “reset” of the process begun by Dell’Omo and the Board with regard to the disposition of Westminster. Following the March 27 letter from the Attorney General, we believe these points remain as relevant now as then. Click the title for the document. Late last night the AAUP received a copy of the letter Acting Attorney General Jennifer Davenport and her team provided Judge Paul Innes of the Chancery Division of the New Jersey Superior Court in connection with the Westminster Foundation’s lawsuit that seeks to stop Rider University from selling Westminster Choir College. Though the 35-page letter's language is measured and professional, it is clear the AG was frustrated by Rider’s failure to provide or attempts to conceal information relevant to her investigation. In fact, Rider’s reluctance to comply with her requests prevented the AG from obtaining enough information to render an opinion to the Chancery Court at this time. Instead, because her investigation raised many additional concerns, on March 22 the AG required Rider to answer an additional 45 questions. Once Rider complies in full with her request, the AG expects to issue an opinion within two to three months. ​Click the title to read our press release and the Attorney General's statement. Click the title for the PDF. This paper reports on important recent developments at Beijing Kaiwen Dexin Education Technology Co., Ltd. (Kaiwen Education), using information from a variety of resources including the company’s response to a second request for information from the China Securities Regulatory Commission (CSRC), a request prompted by Kaiwen’s desire to sell additional shares of company stock.... Click the title to access the report. Rider AAUP leadership informs Assemblywoman Mila M. Jasey & Senator Sandra B. Cunningham of Greg Dell'Omo's plan to sell WCC to Kaiwen. Click the headline for all the documents. "N.J. college's professors must now report to the Chinese government, union charges"
"Professors hired to work for a New Jersey college at its satellite campus in China have been told they are now effectively employees of the communist Chinese government, union leaders say." "The professors, including more than 50 American citizens, were hired at Wenzhou-Kean University, a satellite campus Kean University launched in 2012 amid a trend of colleges partnering with the Chinese government in search of big profit"
Read Marshall Onofrio's email about labeling your stuff in your office.... heartbreaking. "A Chinese company that until January went by the name Jiangsu Zhongtai Bridge Steel Structure Company plans to purchase a nonprofit American music college. What could go wrong? Plenty, argue faculty members, donors and alumni who oppose Rider University’s plans to sell the Westminster Choir College....."
"As a Chinese company continues the process of purchasing the Princeton-based Westminster Choir College from Rider University, more concerns — and one more lawsuit — have surfaced." Filings in China Expose Illegitimate Profit Seeking Motive for Purchasing Non Profit Music School... In the Meantime, More Bad Economic News Belies Corporation’s Ability to Sustain WCC. Click the link to read more. Public statements and press releases by Rider University and its administration as well as statements released by Kaiwen Education and its newly announced, wholly controlled subsidiary, the Westminster Choir College Acquisition Corporation (WCCAC) present Kaiwen Education as a qualified, financially sound “partner” for Westminster Choir College. What is Happening to Westminster? And When did it Happen? On October 29, 2015, Rider University President Greg Dell’Omo and Provost DonnaJean Fredeen give notice of layoff to 14 Westminster Choir College (WCC) tenured faculty and a number of long-time adjunct faculty, and, cancel 13 academic programs with no plan to... Click for a Chronology of the WCC Crisis. Who is Offering to Buy Westminster? Rider University's Board of Trustees announced on February 21, 2018, that it had agreed upon a non-binding term sheet for the purchase of WCC with Kaiwen Education Technology Co., Ltd., a for profit company. Click for a full explanation of what Kaiwen is (and was). What is Westminster and Why is it Important? From its beginning in 1920, Westminster has grown into one of the most premiere, world renowned music schools in the world. 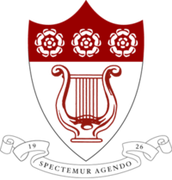 Click for a fact sheet of what Westminster is and some of its achievements. "Buyer ID for Choir College Strikes Note of Alarm"